Honor, like Xiaomi, likes to keep the price of its budget and mid-range phones as low as possible. The company has launched some great phones recently like the Honor 10, Honor Play, etc. 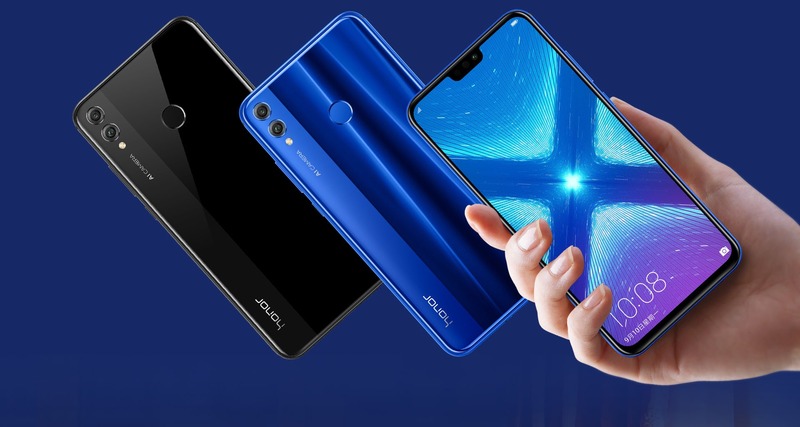 Today, Honor launched two new mid-range phones – Honor 8X and 8X Max. As the name says, the 8X is the successor to last year’s Honor 7X which was one of the best budget phones at the time it was announced. Both the 8X and 8X Max feature great mid-range specifications, and just like last year’s 7X, we can expect both the phones to launch globally as well. 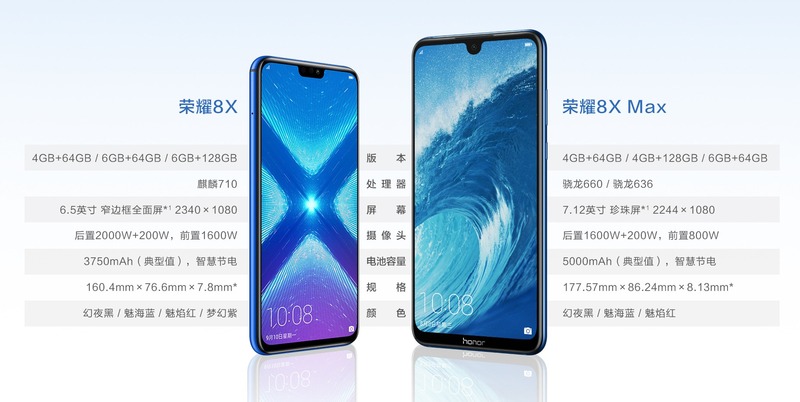 If you have seen the Honor Note 10, then you’ll find both the Honor 8X and the 8X Max very similar to that phone regarding the design from the rear. The 8X has the same vertical dual camera setup with both the lenses placed separately. The back is made up of glass, and there is a metal frame. The glass on the rear reflects the light in such a way that you can see different patterns on it, just like the Honor 10. On the front, the phone has a notched display because why not follow the same trend that the company has been following from the beginning of 2018! The notch on the front is smaller than what we see on most of the mid-range phones. It features the front-facing camera, the earpiece, and the sensors. There are no special sensors for Face Unlock of anything like that. Talking about the specifications, the 8X has a 6.5-inch Full-HD+ display with a resolution of 1080×2340 and a pixel density of 397 PPI. Honor went for a powerful Kirin 710 processor this time, and it is a pretty capable chipset clocked at 2.2GHz. It is an octa-core processor consisting of 4 Cortex-A73 and 4 Cortex-A53 CPUs. The phone comes in three variants – 4GB RAM + 64GB ROM, 6GB RAM + 64GB ROM, and 6GB RAM + 128GB ROM. The storage can be further expanded up to 400GB. Talking about the cameras, the Honor 8X has a dual camera setup on the rear that includes a primary 20MP f/1.8 sensor and a secondary 2MP sensor for depth sensing. On the front, the phone has a 16MP f/2.0 camera. Camera features include AI Portrait Mode, HDR, Super Night Scene and more. Under the hood, there is a big 3,750mAh battery that supports the normal 5V/2A charging, and so, there is no fast charging support. Android 8.1 runs out of the box with the EMUI 8.2 on top. The phone still has a micro USB port which is a big con. If you thought that 6.5-inch display on the 8X was huge, then you were wrong. The 8X Max is simply a huge smartphone if we talk about that display. But, since the bezels are kept minimal, the phone isn’t that big when used. Still, it is not meant for one-handed use. 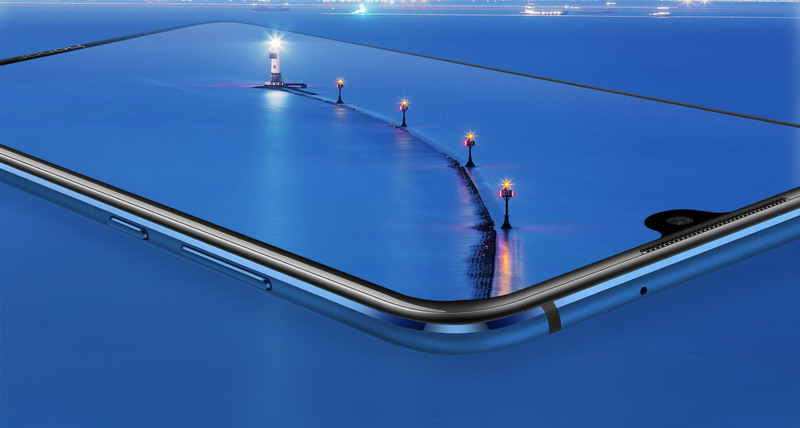 The design is similar to the Honor 8X except for the front, where the phone has a notch similar to the Essential phone. So, there is a small cutout, just for the front-facing camera. The Honor 8X Max has a big 7.12-inch Full-HD+ display with a resolution of 1080×2244 Pixels and a pixel density of 350 PPI. Talking about the processor, there are two variants of the phone – One with Snapdragon 636 and other with the Snapdragon 660. There is no listing of the Snapdragon 660-powered 6GB variant yet. The phone has 4GB RAM and 64/128GB internal storage. Just like the 8X, the 8X Max supports micro SD card up to 256GB. On the rear, the Honor 8X Max has dual cameras that include a primary 16MP f/2.0 + a secondary 2MP f/2.4 sensor. On the front, there is an 8MP f/2.0 camera. The camera features include AI Portrait Mode, Pro Mode, Slow Motion, Panorama, HDR and more. The 8X Max doesn’t just have a big screen. 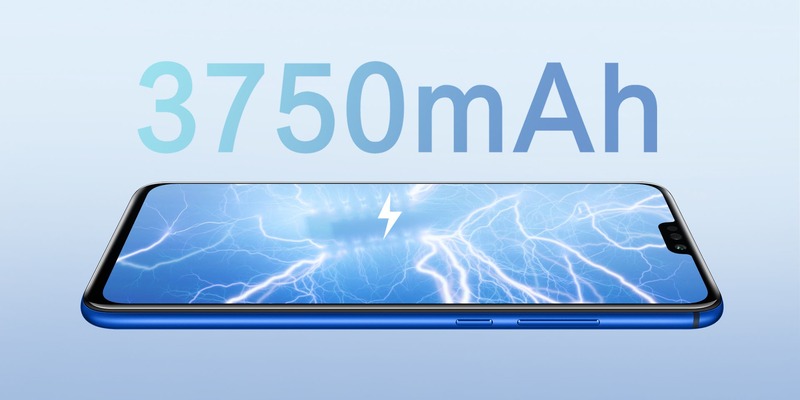 It has a massive 5,000mAh battery that supports 9V/2A fast charging as well. As per Honor, the phone can be charged from 0 to 100% in 2.05 Hours. Android 8.1 Oreo runs out of the box with EMUI 8.2 on top. The pre-orders for both the phones will start from September 6 and the shipping from September 11. The Snapdragon 660-powered 8X Max will also start selling this month.